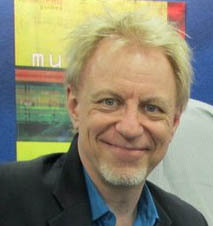 Guest Blogger: Bobby Owsinski, author of helpful music guides such as Music 3.0 or The Music Producer’s Handbook. Below is an excerpt from his music industry blog, Music 3.0. There’s a lot of myths when it comes to social media, and most continue to be retold as truths. Let’s bust 5 of the bigger ones. I’ve personally busted these with my own testing, but there’s a lot of research to back them up as well. Myth 1: Get as many friends/followers as you can. What good is it if you have 30,000 Twitter followers and only 30 care about what you’re posting? The quality of these friends and followers is more important than the quantity. Myth 2: The more you post, the better. Study after study has found that the less you post, the more effective it is. Once again, it’s the quality of the post that counts, not the quantity. Myth 3: You should focus on social media and forget about your website. If fact, your website should be the center of your online universe and all of your social media sites should point to it. 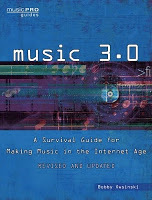 For the last two myths, go to Bobby’s blog, Music 3.0! 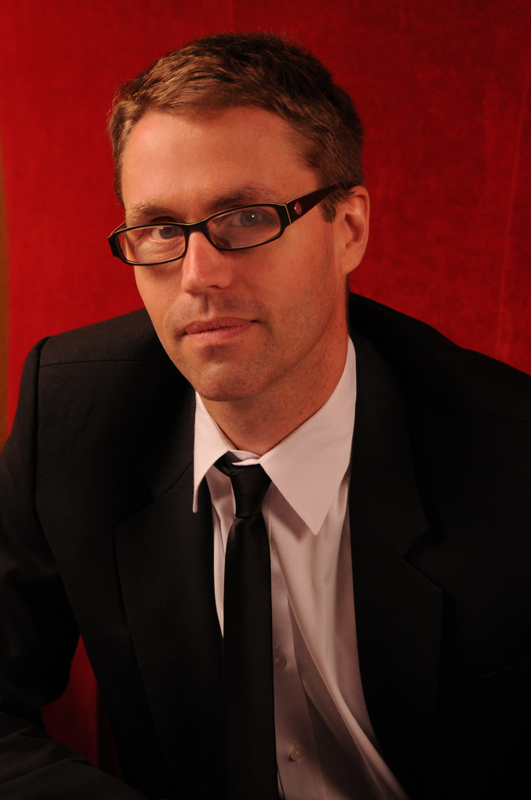 Guest Blogger: Deke Sharon is the co-author (with Dylan Bell) of A Cappella Arranging. The following is an excerpt from his blog on Casa.org. Please pay them a visit for more a cappella news and discussions from Deke, who has produced music for the a cappella sensation Straight No Chaser. They’re the funny Christmas song guys, right? Yup. And they just sold out a 6,500 seat venue in Connecticut. When you’re looking at the a cappella landscape over the past decade, no group has changed the game more than Straight No Chaser. Yes, they were incredibly lucky when Atlantic Records called, but for 99 out of 100 groups, the story ends there. A cute footnote for a few thirtysomethings that had a viral video from a concert that happened decade before. But it didn’t, because Straight No Chaser is group like no other, re-writing vocal music history year after year. What have they shown the world? Maroon 5 didn’t have their first hit until they were about to throw in the towel, but they don’t act or dress like they’re 30, and they’d been performing for years, building a fan base and learning the ropes. Straight No Chaser’s formula is not kids running around on stage like a band, it’s more like the Rat Pack: classy gentlemen in suits singing songs you love and making you laugh between songs. Sit out your 20s, then start your career in popular music in your 30s? Not done. Impossible. Until now. To read read Deke’s next 4 reasons, visit this blog post on Casa.org! Guest Blogger: Bobby Owsinski is the author of The Music Producer’s Handbook, one of guides in his Handbook series along with The Touring Musician’s Handbook and The Studio Musician’s Handbook. Below is an excerpt from his music production blog, The Big Picture. Almost everyone knows the main phases of an album project (preproduction, tracking, overdubs, mixing, mastering), but the fact of the matter is that there’s one more phase that actually begins the process – the meeting. That’s where the producer meets with the artist for the first time and they both decide if they like each other, can work together, and most importantly, be creative together. Of course, there may be other meetings before this decision is finally made, but the first one is critical for both the producer and the artist. The problem is that any times the artist or band doesn’t know exactly what to do or expect (especially one without much experience), so that leaves it up to the producer to guide things. Here are some questions to ask to determine if you’re a good fit with the artist. What are some of your favorite records? Why? What are your biggest influences? Why? What recordings do you like the sound of? To read the rest of Bobby O’s questions, visit his blog! The Music Producer’s Handbook (another book in Bobby Owsinski’s successful Handbook series) describes in detail the duties and responsibilities of a music producer. In his thoughtful, down-to-earth, and savvy style, Bobby O. brings his wealth of experience to bear in answering the questions faced by all budding music producers: How do I become a producer? How do I get the best out of the musicians or vocalist? How do I get a great mix? How much money can I make? Covering the entire range of producer concerns, from organizing each phase of the production to mastering the final mix, The Music Producer’s Handbook takes a sometimes intimidating and mystifying process and breaks it down to an entertaining tutorial that will fatten the toolkits of professionals as well as novices. As with all the books in the Handbook series, a third of the book is dedicated to exclusive interviews with name producers who share their techniques and stories with the reader. An accompanying DVD takes the viewer through each phase of the production process. Guest Blogger: Deke Sharon is the co-author (with Dylan Bell) of A Cappella Arranging. The following is an excerpt from his blog on Casa.org. Please pay them a visit for more a cappella news and discussions from Deke. A cappella is at its best when precise, when clean and rich; an impressive, well balanced array of sounds akin to popular music with instruments. Why then would I get up on stage and perform music I haven’t rehearsed? Music I perhaps don’t even know? Well, it all started a decade ago in a town called Bremerhaven in Northern Germany. The House Jacks were performing for a packed club (“Pumpwerk,” a former waterworks of some kind), at which we were told a couple hundred of the attendees were all from the same company. “It will be…” and the song requests kept coming. Couldn’t finish the sentence. So, when someone yelled out “James Brown I Feel Good” we said “Fine!”, playing along with the joke. And you know what? It was pretty good. So we took another request. And another. And the audience went WILD. To read keep reading this article, visit this blog post on Casa.org! I looked at the clinician list for BOSS 2013 and thought “Holy moly! There are dozens if not hundreds of contemporary a cappella coaches now!” So encouraging, so exciting! Alas, there’s literally no training program for coaches, no formal pedagogy. I assume they’re all just sharing the lessons they’ve learned as singers and directors, as I do. Music is communication, and as each piece of music has a particular message and mood, the myriad decisions there are to make around a particular song and arrangement should all point to the song’s central emotional focus. This is easy to conceptualize, but I find it alarming how often directors lose sight of this fact. Why did you choose this move? Why are you singing this chord in this way? “Because it looks/sounds good” or “because I like it” are not acceptable answers, especially in light of a young director’s desire for perfection above (more on this later). If I’m working with a group and I feel nothing when they’ve sung the song for me, my very first act is to make sure the group both understands the song’s meaning and has a clear emotional goal for the song. If it’s not clear, we discuss the lyrics, and I invite the singers to discuss their own related experiences and feelings. At the end of such a discussion, it’s very helpful to summarize in a few words, like “big crazy circus” or “gentle melancholy stream.” The specific words will be a trigger, something the director can mention when playing the pitch, just before starting the song, to help the group focus it’s emotional delivery. There’s an oft-spoken adage in writing – “show, don’t tell” – that definitely carries an important message: use words to create a feeling rather than simply state what a character feels. Expanding this idea into coaching, I urge you not only to explain to your group how they should feel, but to reflect that feeling in your own tone of voice, your own gestures, your own mood. Create the moment yourself as you’re urging your singers to find it. In essence, you’re called upon to act while you direct, just as you’re asking your singers to do the same when they sing. Wave your arms and jump around, slump your shoulders and speak more quietly… whatever it takes. Change the mood in the room to reflect the song, and help your singers find the moment. To read Deke’s next 6 tools, visit this blog post on Casa.org! To read Deke’s full description of each of these job possibilities, visit this blog post on Casa.org!